New research finds that malaria-carrying mosquitoes died after bitting people who had taken high doses of ivermectin, a drug meant to fight parasites. 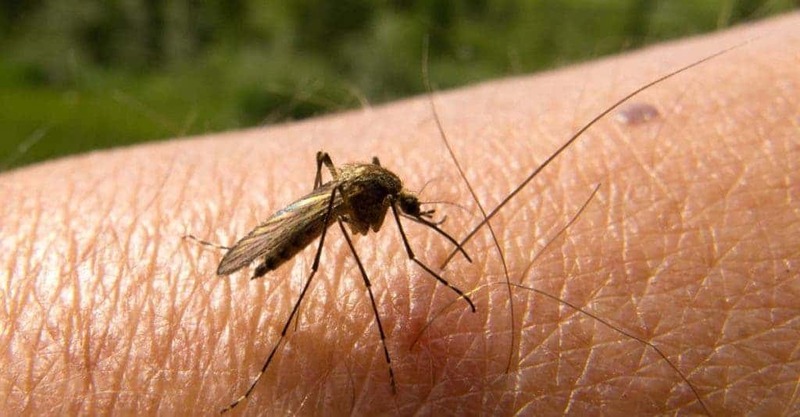 This means the drug might one day become part of national malaria control programs. Only certain species of mosquitoes of the Anopheles genus — and only females of those species — can transmit malaria. Malaria is caused by a single-celled parasite called Plasmodium, which undergoes a series of infection steps before arriving at the mosquito’s salivary gland, from which it ultimately spreads to bitten humans. Each year, the disease infects more than 200 million people, causing 429,000 deaths — and things aren’t taking a turn for the better. Despite billions spent on malaria eradication programs, we seem to have reached a plateau. Mosquitoes are becoming increasingly resistant to insecticides, which is forcing researchers to think of all sorts of new solutions like a malaria vaccine. Some proposed solutions, however, can be quite dramatic, like genetically engineering mosquitoes so they wipe themselves out. This is why it’s so exciting to hear that a drug that is already on the market can serve a double role in malaria control. Ivermectin was developed in the 1980s to ward off parasites that cause river blindness and elephantiasis. In the last 30 years, over two billion treatments of ivermectin have been distributed. Previously, several studies found that malaria-carrying mosquitoes would die after sucking the blood from individuals who had taken ivermectin. Now, an international team of researchers investigated in a controlled setting the precise conditions when this can happen. Researchers gave 47 participants exactly 600 milligrams of ivermectin in tablet form for three days in a row. Blood samples were then drawn from each participant six times, then fed to trapped mosquitoes. The typical annual dose for the drug is 200 milligrams, so the participants were on a very high dose. Despite this, there were no side effects reported. As a caveat, the participants were already in the hospital infected with malaria and might not have shown any side effects since they already sick. Two weeks after the mosquitoes were fed with blood from the 600mg-group, 97% of the insects had died. The blood from another group of 48 patients who were given a 300 mg dosage was not nearly as effective. When researchers at the Imperial College London plugged the results in a mathematical model, they found that the high dose ivermectin could reduce malaria incidence by as much as 61%. More studies need to be done to establish the efficacy and safety of a high ivermectin dose against malaria. However, the results so far are extremely promising, suggesting a drug that’s already been vetted for decades might become a promising new weapon in our anti-malaria arsenal. “This first evaluation of the impact of high dose ivermectin on mosquito mortality is highly encouraging and requires further evaluation in larger scale trials that target both malaria parasites and the mosquitos, as the world pushes towards malaria elimination,” explained Feiko ter Kuile, a Professor at the Liverpool School of Tropical Medicine (LSTM) and senior author of the paper. The findings were reported in the journal The Lancet Infectious Diseases.